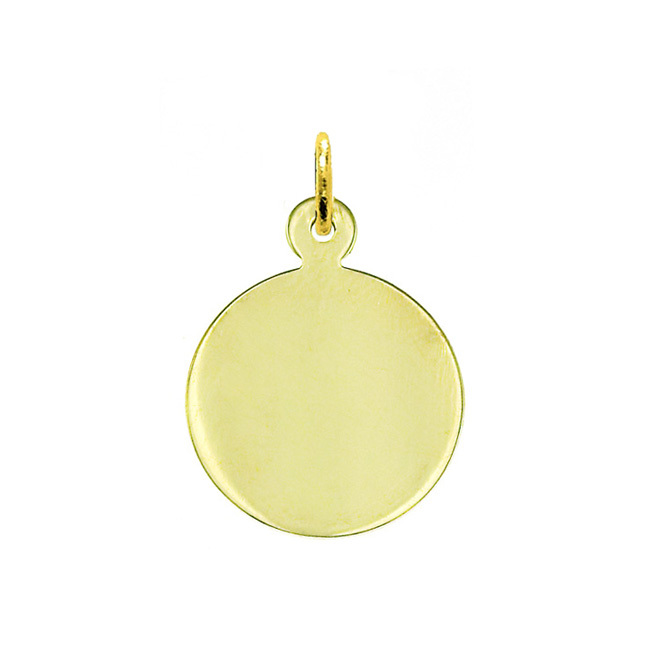 Designed with simple elegance, the 14k gold round customizable engravable pendant makes a charming addition to any charm bracelet or necklace. 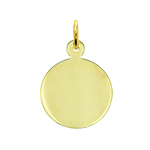 A simple circle charm provides an excellent canvas for personalizing with your choice of custom laser engraving that can be further adorned with the birthstone setting of your choice. 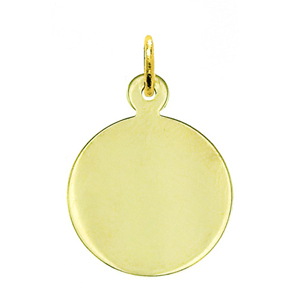 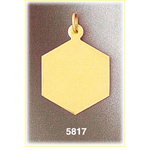 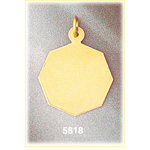 Pendant is crafted in 14k yellow gold featuring a polished finish with flat back, it measures approximately (20mm - 3/4") in width by (20mm - 3/4") in height and weighs 2.5 grams, it is recommended for necklaces.